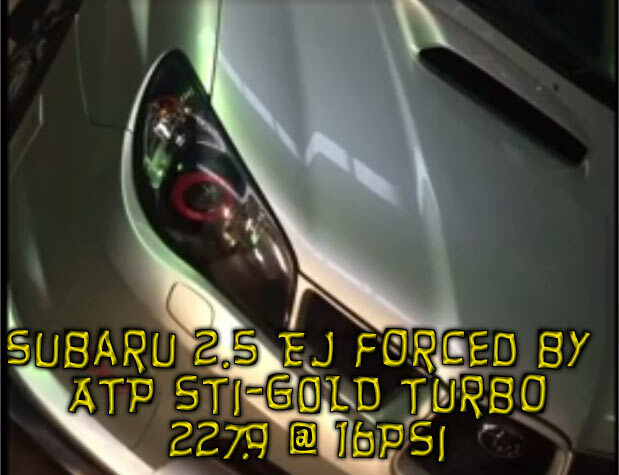 The ATP Turbo Subaru STi GOLD Turbo. 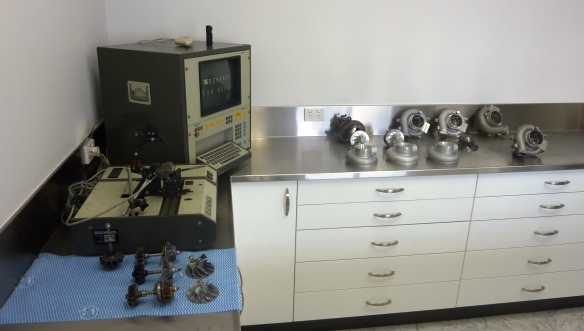 A purpose designed and developed Billet Alloy Machined Turbo COMPRESSOR Wheel, matched to a custom standard or higher performance turbine Compressor housing and ATP designed Ball-Bearing Pack is the ultimate High-Flow for your Subaru WRX or STi. These MFS Hi-Flows are similar to the ATP EVO GOLD PROVEN in Mitsubishi EVO’s! 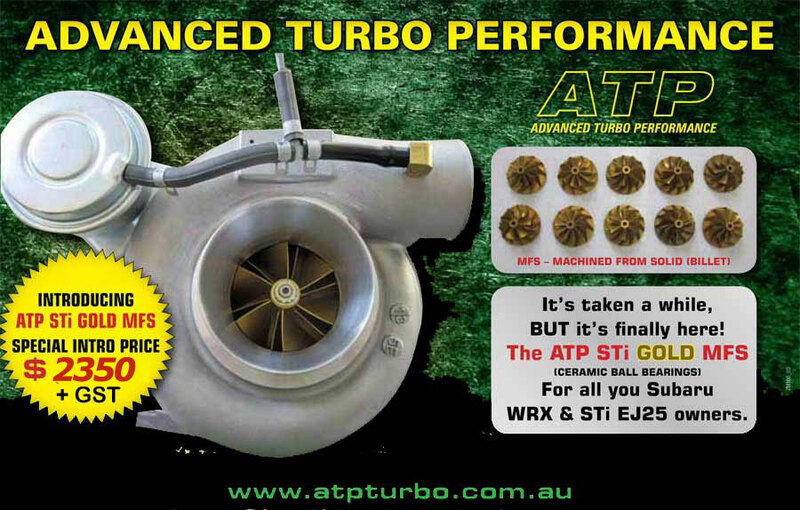 Now you can take it to the EVO’s with a ATP MFS STi GOLD Hi Flow Turbo at a reasonable price from ATP! Video of Run in tune performed and completed by Vinny @ GOTITREX. A not too shabby 227.9kW @ all 4’s equipped with a built 2.5 EJ, air being forced in by an ATP STI-GOLD Turbo Charger! Pretty impressive spool up and lots more power to come.